California Assembly Bill 273, introduced by Assembly Member Lorena S. Gonzalez’s (D-Sherman Heights), which seeks to ban what little remains of recreational trapping in the state, as well as eliminate fur-dealer and fur-agent licenses in California, has passed the Assembly Appropriations Committee by a vote of 12 to 3 and will now head to the Assembly floor for a full vote. Take Action Today! California members should contact their state assembly member and ask them to vote NO on AB 273. 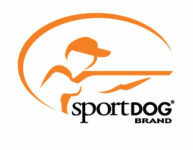 Members can contact their assembly members by using the Sportsmen’s Alliance Legislative Action Center. It is already illegal in California to use commonly used traps such as conibear, leg-hold traps or snares as a result of a 1998 ballot initiative. AB 273 would prohibit any recreational trapping, and ban the sale of furs, removing what little revenue they had to help offset the costs associated with trapping. The Association of Fish and Wildlife Agencies (AFWA), which is made up of the nation’s fish and game agencies, along with wildlife biologists, the American Association of Wildlife Veterinarians and the American Veterinary Medical Association, all support the use of trapping in wildlife management. These organizations recognize the importance that trapping plays in maintaining and managing healthy animal populations, as well as its importance in helping to control diseases, such as rabies, that are detrimental to pets and humans. The special interest groups pushing this and similar legislation nationwide are being disingenuous, at best, with the public. Recreational trapping is a tool that helps to prevent overpopulation of furbearers and associated consequences such as the spread of diseases and damage to infrastructure. Because this bill eliminates population management of furbearers by recreational trappers, the only way to address the problems that these animals cause will be after an outbreak of rabies or damage has been done and by using nuisance trappers at a cost to taxpayers. For 20 years, California has only permitted trapping under very limited circumstances. AB 273 would eliminate even that.